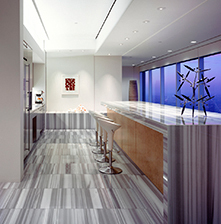 RBOS Reception and Conference Areas Impressions worked with designer Kelie Mayfield on thie award-winning design for Royal Bank of Scotland. 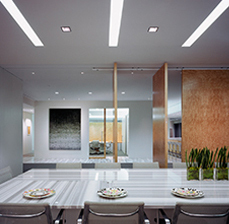 Chinchilla marble was used throughout the space, including the custom conference table fabricated by impressions. 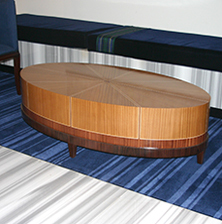 The lobby furniture included an oval custom inlay coffee table.